UDOH welcomes Dr. Joseph Miner as new Executive Director – On August 3, 2015, Governor Gary R. Herbert announced Dr. Joseph Miner as the new Executive Director of the Utah Department of Health. Dr. Miner had previously led the Utah County Health Department for 32 years. He replaced David Patton who resigned in July to pursue a job opportunity in the private health care sector. 7,100 people exposed to Hepatitis C – Public health initiated an investigation of hepatitis C virus (HCV) infection in connection with the emergency departments at McKay-Dee Hospital and Davis Hospital and Medical Center. It appeared the transmission of the disease was consistent with a situation where a hospital employee was diverting drugs. Approximately 7,100 people were notified of the possible exposure to HCV. Utah Medicaid Program – Utah’s Medicaid Program saw big changes in 2015. The governor’s Healthy Utah plan, which would extend Medicaid coverage to low-income adults, failed to pass in the 2015 legislative session. A modified plan, UtahAccess+, designed and unveiled by leaders of the House and Senate was voted down in October during a closed caucus meeting. This topic of conversation will likely continue in the 2016 legislative session. Additionally, on July 1, 2015, Medicaid expanded the Accountable Care Organization (ACO) model to nine additional counties. 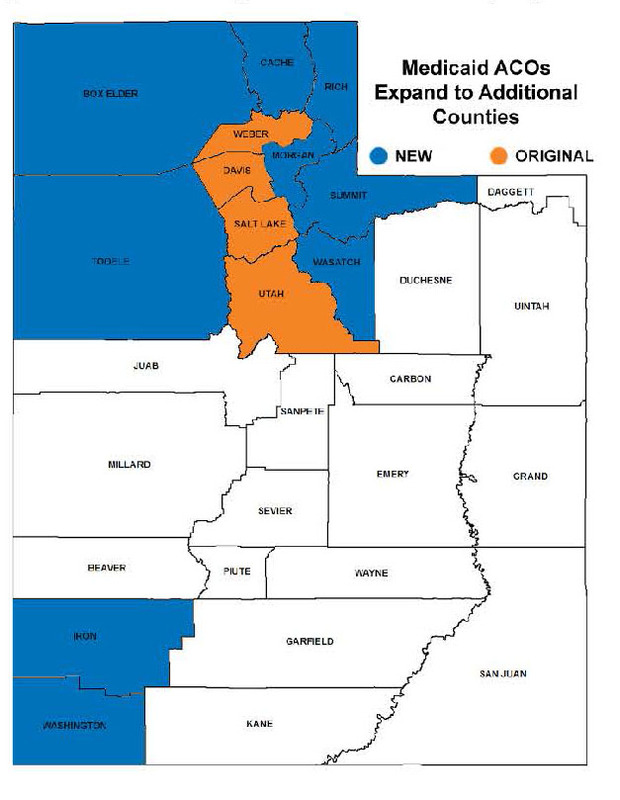 Now members living in Cache, Rich, Morgan, Box Elder, Tooele, Wasatch, Summit, Iron, Washington in addition to the original Salt Lake, Davis, Weber, and Utah counties receive their care through an ACO. This model will help to better align financial incentives to control costs and to deliver appropriate care to Medicaid members. Now, more than 86% of Medicaid members receive services through an ACO and it is estimated that the ACOs produced $11 million of General Fund savings in the past two years. Finally, in December 2015, Utah’s Medicaid Director for the past 10 years, Michael Hales, announced his resignation to pursue opportunities in the private sector. Medicaid has an operating budget of nearly $2.5 billion and is a vital and essential part of Utah’s health care infrastructure; providing nearly 320,000 Utahns with access to health care each year. Hales also served as deputy director of the UDOH. 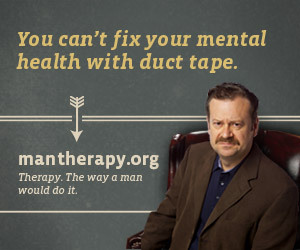 Helping men maintain their mental health the “manly way” – Together with the Utah Suicide Prevention Coalition and National Alliance on Mental Illness Utah, the Utah Department of Health launched a suicide prevention campaign for men ages 25-64 called Man Therapy. The campaign was highly successful; launching Utah to the #1 spot in terms of states with the highest traffic to mantherapy.org and garnering 1.2 million impressions on Pandora and 22.7K impressions on a single Facebook post. But most importantly, the humorous campaign is saving lives. Robert Kirby, a columnist with the Salt Lake Tribune, received an email from a reader who, after reading Kirby’s article on Man Therapy, was encouraged to finally get help with his lifelong mental issues, likely saving his life that day. Buckle up – Effective May 12, 2015, not wearing a seat belt became a primary offense in Utah, meaning drivers could be pulled over by law enforcement just for not wearing a seat belt. Seat belts are the single most effective traffic safety device for preventing death and injury in a crash. Research shows that states with primary seat belt laws have higher seat belt usage rates and lower motor vehicle fatality rates. To learn more and to hear stories of Utahns saved by wearing a seat belt, visit Zero Fatalities. Groundbreaking for the Unified State Laboratory – On June 29, 2015, officials from the Utah Department of Health, Utah Department of Public Safety, Lt. Governor’s office, Utah Administrative Services, Utah State Legislature, Taylorsville City, Utah Department of Agriculture and Food, and Utah Division of Facilities, Construction, and Management broke ground on module 2 of the Unified State Laboratory. 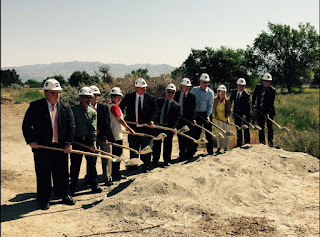 The new facility will house the State Medical Examiner, State Crime Lab, and food safety labs. The facilities will contain critically needed space to prevent overcrowding, modern safety and engineering features, and state-of-the-art equipment to keep the public safe for generations to come. Construction is expected to be completed in the fall of 2016. Utah youth e-cigarette usage nearly doubles – Data showed a substantial increase in the use of electronic cigarettes by youth in grades 8, 10, and 12; revealing that 10.5% of Utah youth reported they currently use e-cigarettes, nearly double the 5.8% reported in 2013. To download the full report, visit http://www.tobaccofreeutah.org/pdfs/tpcpfy15report.pdf. Measles outbreak in Utah County – Public health officials declared the end of a measles outbreak that infected three unvaccinated Utah residents and exposed nearly 400 others to the highly contagious virus. The cases were part of a large multi-state outbreak linked to Disneyland and Disneyland California Adventure. Newborn Screening (NBS) Program receives Governor's Award for Excellence for improving test turnaround times – All babies born in the state for 38 different disorders within the first few days of their lives. Newborn screening is critically dependent on timeliness, so the NBS program entered into a partnership with FedX and the Utah Hospital Association to ensure all blood samples would be received within three days at no cost to the hospital. 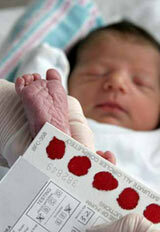 Prior to this partnership, nearly 34% of newborn screening samples were received within 4-7 days of birth. Following the partnership, that rate dropped nearly in half to 19% and the overall average transport time has improved to less than 1.5 days. The improvement has already resulted in at least one success story: Within several days of the program’s implementation a baby born in a rural hospital was identified as having a life-threatening metabolic disorder. Through prompt screening, the disorder was treated and the baby is thriving. Without the timely screening, the baby most likely would not have survived. For these efforts, Governor Herbert honored the program with the Governor’s Award for Excellence. Autism services now available for medicaid recipients – As of July 1, 2015, autism spectrum disorders (ASD)-related services are now available to Medicaid recipients under the Early Periodic Screening, Diagnosis, and Treatment program. The program offers comprehensive preventive health care services for individuals younger than age 21 who are enrolled in Traditional Medicaid. ASD services can include diagnostic assessments and evaluations; therapies such as physical therapy, occupational therapy, or speech therapy; and services rooted in principles of applied behavior analysis or ABA.